We are not promised more than today. Thus we need to live our legacy now, with focus and integrity. Ryan Westcott is ready to step into the family business, armed with a fresh MBA degree from a prestigious business school. Yet his father has other ideas. He feels Ryan needs more education - but not the kind one gets from a school. Ryan is sent to his uncle’s Montana ranch to learn, in short, how to be a man. 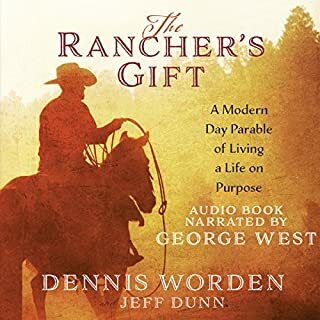 While Ryan helps his uncle build a barn, he learns life lessons about health, work, finances, education, selfessness, humility, and most important of all, love. The story moves quickly and is very easy to relate with as we all seek meaning and purpose for our life. Uncle James guides with the truth of the apostle James and put faith into action. Thank you for demonstrating the courage to follow your personal trail with your friend Jesus. Some ideas are bigger than others, and the Master Idea - your company's purpose - is the biggest. 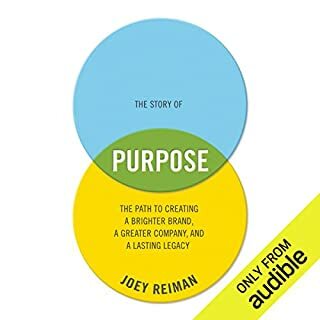 Whether addressing communication between leadership and associates, suppliers to manufacturers, sales force to customers, or brand to consumers, The Story of Purpose details a proven methodology for businesses, small to large, how to build a purpose-inspired organization to positively impact employees, customers, and the bottom line. It reveals the process for uncovering what makes a company distinctive and guides you to discover the fundamental force behind the organization that no competitor can replicate or replace.